You Are Here : Home / About Us/ News, Media & Publications / News & Media / Is your business allergy aware? Is your business allergy aware? 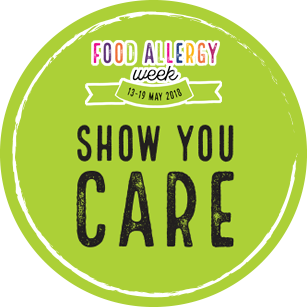 Mornington Peninsula Shire and Allergy and Anaphylaxis Australia (A&AA) are calling on the peninsula community to help raise awareness and take action during Food Allergy Week (13 – 19 May). According to A&AA, Australia has one of the highest reported incidences of food allergies in the world with one in 10 babies born developing a food allergy. Food Allergy Week is an important annual initiative of A&AA that aims to raise awareness, reduce the risk of a reaction for those living with food allergy and help manage potentially life-threatening emergencies when they happen. Shire Mayor Councillor Bryan Paynestressed the important role played by local food businesses in providing correct allergen information to customers. “The Shire encourages all food businesses to implement an allergen management plan to assist when preparing a specific menu item for someone who discloses a food allergy”. “as a part of the Shire’s annual food business assessment our Environmental Health Officers are available to assist owners with assessing their allergen awareness and through the Best Bites program recognise those businesses who are implementing best practice to eliminate harm caused by food allergens". To assist peninsula food businesses to become allergen aware, the Shire is offering a free, accredited, half-day training in allergen awareness in May. The café at Civic Reserve Recreation Centre, operated in partnership with Belgravia Leisure, is accredited in four areas of the Best Bites program, including allergen awareness. Ben Walker of Belgravia Leisure said that the café is working towards improving our options of allergen and gluten free products for sale. “We believe that having allergens clearly labelled and offering written allergen information to our customers makes it easier for them to choose suitable foods, and it’s good for our business too. “It’s great to see food businesses taking allergen awareness seriously, and we encourage any business that doesn’t already do so to make allergy information available and clear to their customers,” said Ben. A Food Allergy Week display has been set up at the Civic Reserve Recreation Centre, Dunns Rd Mornington and local libraries. Hold a Fundraiser. Get your friends and family involved in raising funds for A&AA by hosting a charity event, such as an allergy friendly dinner, cake stall or morning tea. Simply set a date and invite everyone to bring a donation and a plate of food. There are prizes up for grabs for our highest-achieving fundraisers, so don’t forget to register your event on the GoFundraise page. Educate yourself and others by sharing Food Allergy Week content with friends, family and workplaces through social media channels. Check out some free downloadable resources here and don’t forget to hashtag #allergyaware. For further information, please visit foodallergyaware.com.au or contact the Shire’s Environmental Health Team at food@mornpen.vic.gov.au for free food allergy resources. PICTURE DETAILS: Mornington Peninsula Shire Seawinds Ward Councillor Antonella Celi and Belgravia Leisure Area Manager Ben Walker with some of the allergen information on display as part of Food Allergy Week.